You've all heard this phrase before : In fashion, everything always comes back. Well this time, hair clips are making a huge comeback ! It's all about hair clips in fashion trends right now we are in 100% ! 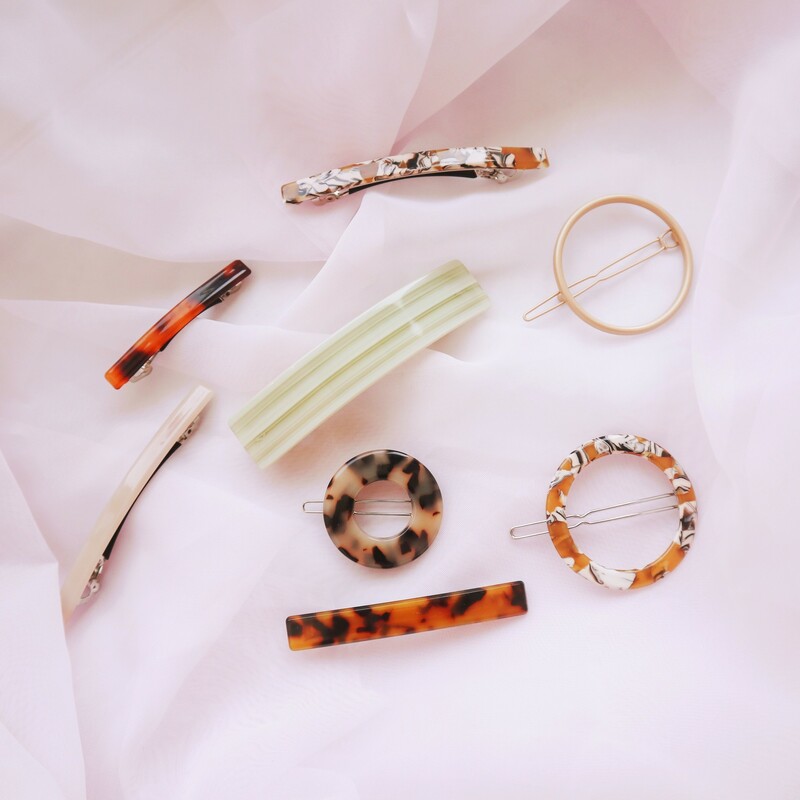 They are the perfect accessory for warmer seasons : not only will they add style to your outfits, but they'll allow you to create weather appropriate hairstyles that will help you stay cool by removing hair from your face. You can and should have fun and use more than one clip at the same time ! Your hairstyles will benefit from more hold and will allow you to keep on going with your summer activities. Switching up the shapes and look of your hair clips is also a very good idea to create a unique and dynamic result. Pair the colors f your clips with the one in your ootds for a more uniform look and a prettier overall styling. You can even shop right on our online store and physical shop ! There's a ton of different models that are available for you to be able to create the pretties hairstyles in town. Plus, they are all made in Europe from acetate, note plastic, making them that much more durable. So, are you into this trend like us ?